Leo Dillon was one of the giants of the American picture book. Leo created many wonderful picture books with his wife Diane Dillon. 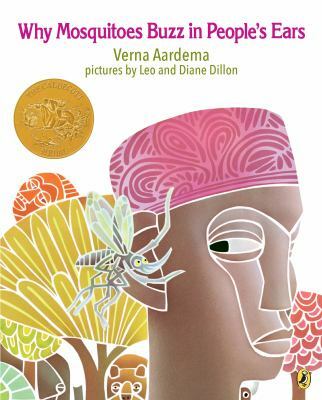 The couple are the only ones to win back-to-back Caldecott Medals: in 1976 for a West African folktale, Why Mosquitos Buzz in People's Ears, and in 1977 for Ashanti to Zulu: African Traditions .Come in and check out these books and many others by Leo and Diane Dillon.